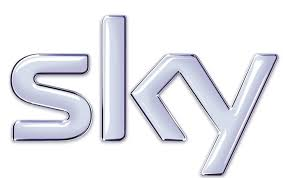 Sky has announced further increases in its subscriber base in the countries it operates in, with 20.8 million customers across the UK, Ireland, Germany, Austria and Italy. In its latest quarterly financial statement, Sky revealed that in the UK and Ireland it had just over 11.8 million customers by the end of March, although there isn't a breakdown between Sky satellite subscribers and those taking internet service Now TV. In the UK, Now TV has seen subscriber growth increase by 30% during January to March 2015, compared to the same time last year, although exact figures were not released. Sky said sports transactions have trebled with over 1 million year to date and included a record 36,000 on the day of the Liverpool vs Manchester Utd clash in March. Sky Box Sets on Sky+ and Sky Go delivered a new quarterly record of almost 100 million "viewing events" with hits such as The Walking Dead, Grey’s Anatomy and Game of Thrones. As the pay TV giant integrates its business across Europe, it says it is working on a number of initiatives, including moving to "a common set-top box platform" across the countries it operates in; commissioning and acquiring original content as one; partnering with suppliers to "buy more smartly and efficiently"; and " developing an advanced set of broadcast and OTT (internet delivery) infrastructures". So NOW TV contributing £250,000 to the price of a Premier League match, which will soon by £9m.